The craft of Voice Over has changed dramatically in the past 10 years. the landscape of the industry is dramatically different than it once was. In order to continue to start or to build a career, you have to go from being a Voice Over to a Voice Actor. But how? 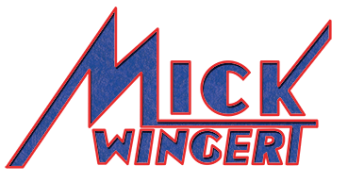 Professional voice actor, Mick Wingert offers one on one private coaching tailored to the needs of each client. His combined emphasis on story telling and VO essentials has served dozens of industry insiders and helped them to book everything from web narration to animated features. Mick focuses on industry trends, acting skills specific to the medium of voice acting, application of acting technique to specific genres of voice over material, and creating compelling performances through acting choices. His client list includes working professionals, industry newcomers and talent of every skill level in between. Mick is recommended by voice over agents at top tier agencies, working professional actors and, casting directors at notable casting and production houses for his ability to help talent read and perform consistently better in the booth. Cancellations made less than 24 hours in advance are still liable for payment. Skype sessions require the client to have recording capabilities of their own. No audio will be captured or provided by Mick during Skype or remote sessions. Participants are liable for their own audio services.